Catzowey is right! So so so much to purrrponder this week ..... like I'm just getting over the GIGANTICAT WORLD SERIES and now I got Halloweenie things to do too, like carve my GIANT organicat pumpkin. and say "I wanna bite of your catnip cookies!" 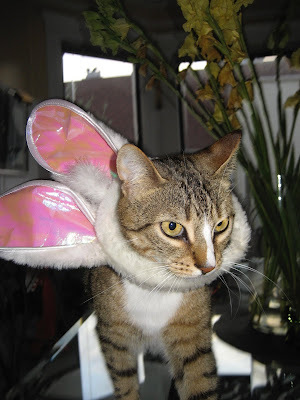 Pawsible that Me & MYself dresses up as Go Johnny Go Depp and enjoy being an irate Pirate! Yo Ho HOzatini pass me a meowtini. 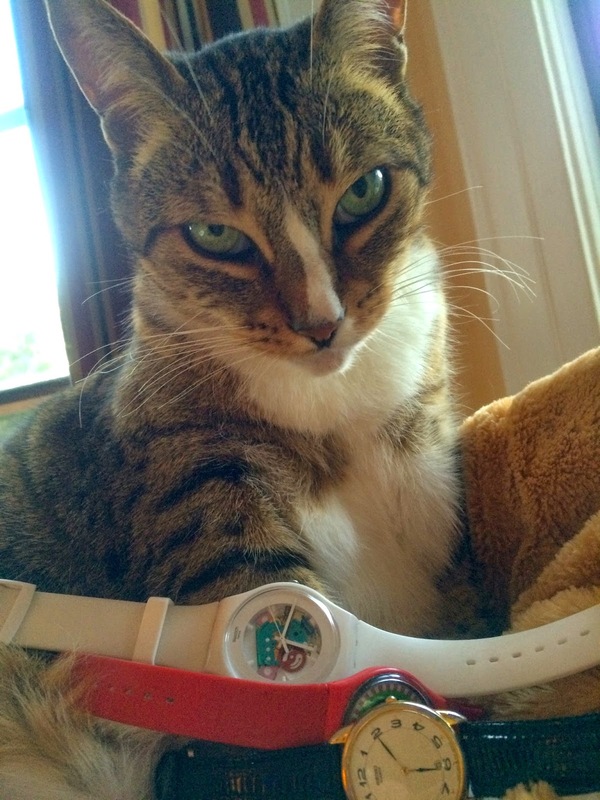 And if I'ma under the influence of my organicat Meowtini I can purrrobably watch myself change my watches on Caturday night when Daylight Savings Time is going poofzatini. Lemme remember .. itza Fall back and Spring forward, right? 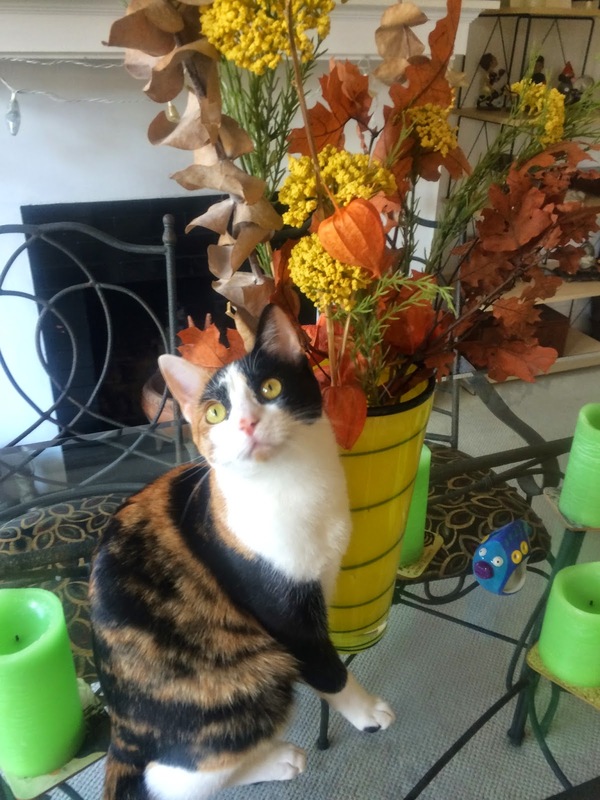 Dangzatini - Grappa doing dat purrrfeshonal modeling pose for Fall colors Cat-OH-logue! Weeza both wanna wish YOU a most meowvalous and nonCATastrophic week! CATZOWEY! Youza knows Me & MYself advocates good sportsmanship and playing life with fair meowster manners. 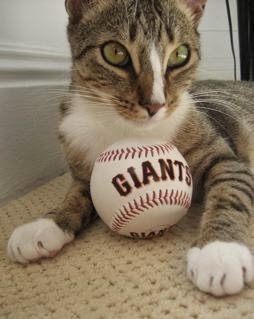 BUT the World Series this week gonna be knocking my socks right off my paws! 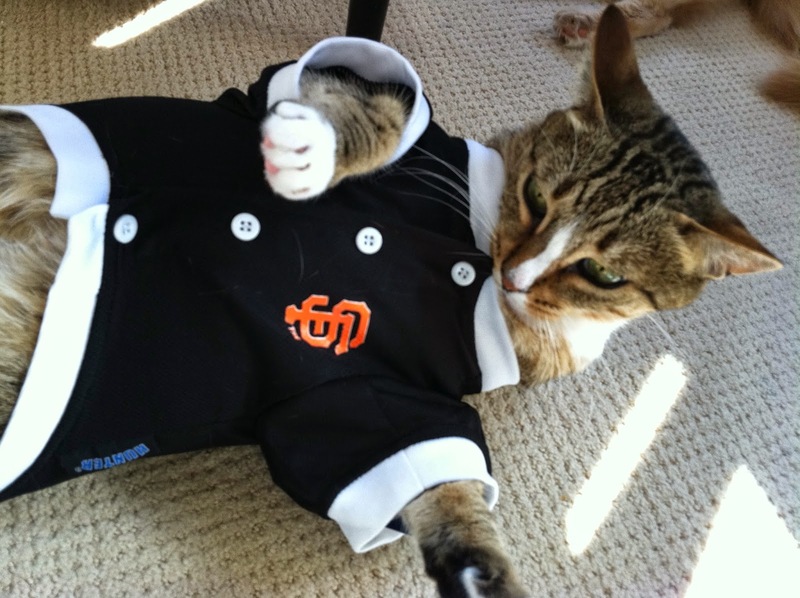 Lil sisfur Grappa got the vibe for this World Series and she's wearing MY socks! GO Grappa GO izza better to hear than NO Grappa NO! Yikes Grappa! You don't wanna get bagged at the World Series! Nope. Going to this World Series might be a hair raising experience! See ya in Kansas City and YES Dorothy we ARE in Kansas this week - where's Toto?! 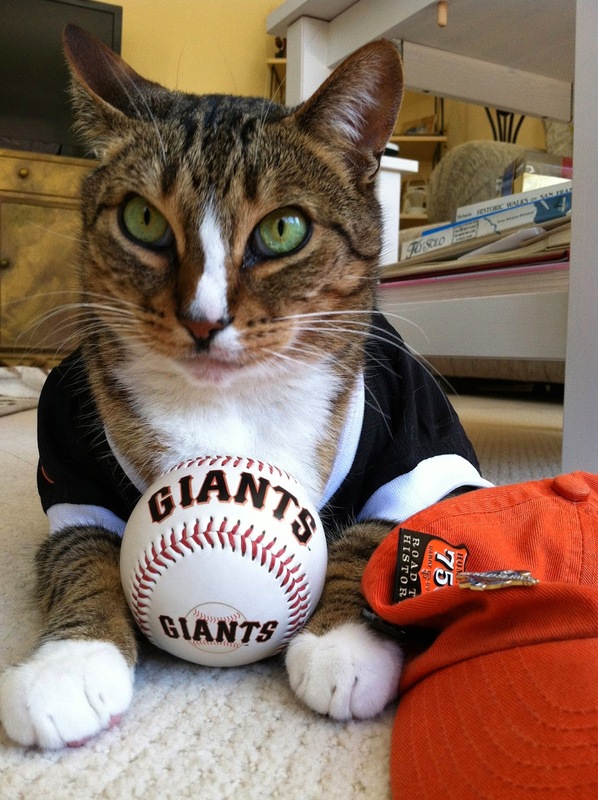 If youza not a baseball fan itza OK. Cuz life is just a big ball game where our paws run around the bases of life everyday. It's meowvalous when you gets yourself on just one base and it makes you smile. Yep Uh Huh it's for sure. Me & MYself smiling with YOU this week! Wishing YOU a GIANT sized nonCatastrophic week! 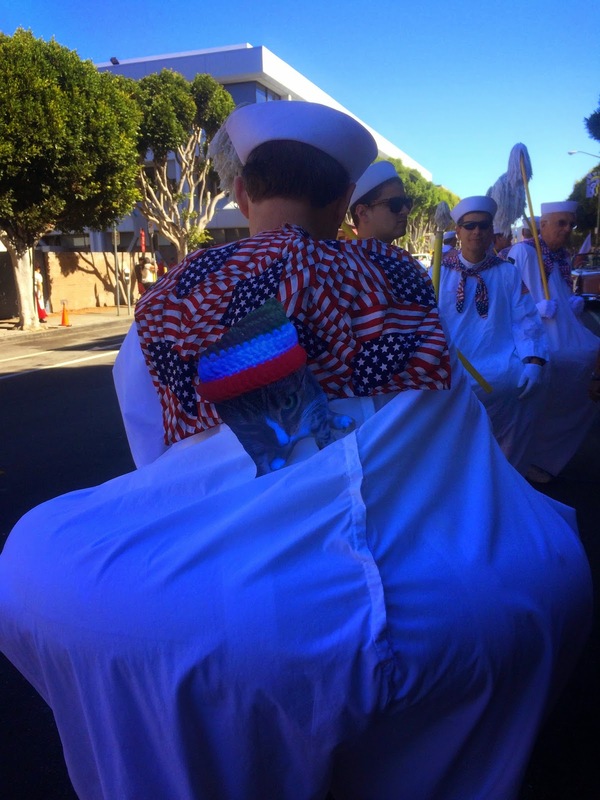 Cristoforo-Cristobal-Christopher - Hey Any Way It's Columbus Day! Signore Columbus izza my EyeTailYun hero and I has the mostest giganticat respecto for his navigating all the way cross dat ocean a very long long time ago with no GPS! 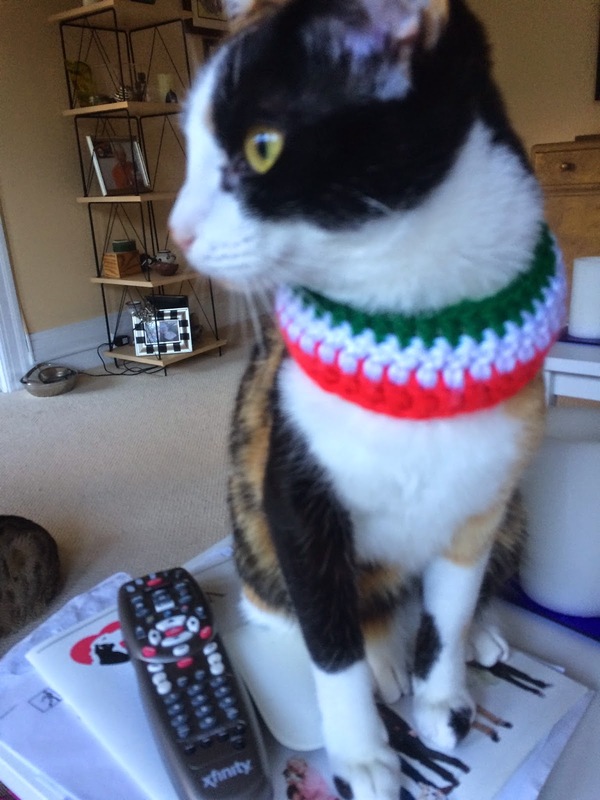 Cuz itza colorful Christoforo Columbus Day, me and lil sisfur Grappa donning the EyeTailYun colors cuz weeza purrroud to be EyeTailYun meowsters. OoooMeowPah! 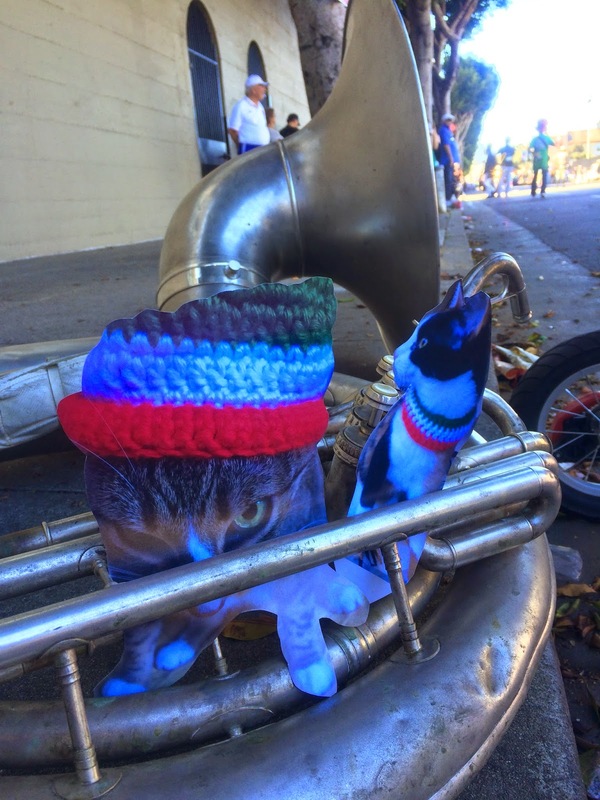 Weeza found ourselves a Columbus Day Purrrade and tried tuning up some dude's Tuba. Catzowey! 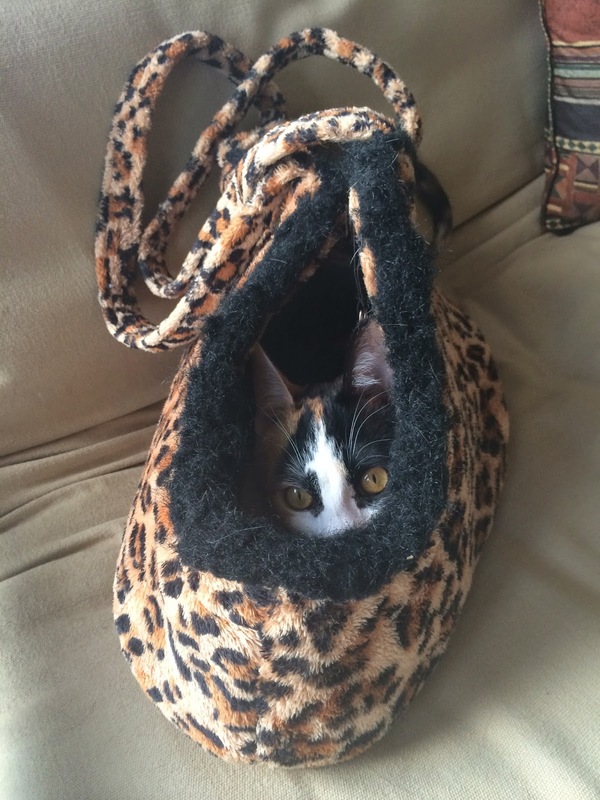 Me & Myself caught a ride on a giganticat tuba tube and it wazza meowvalous! 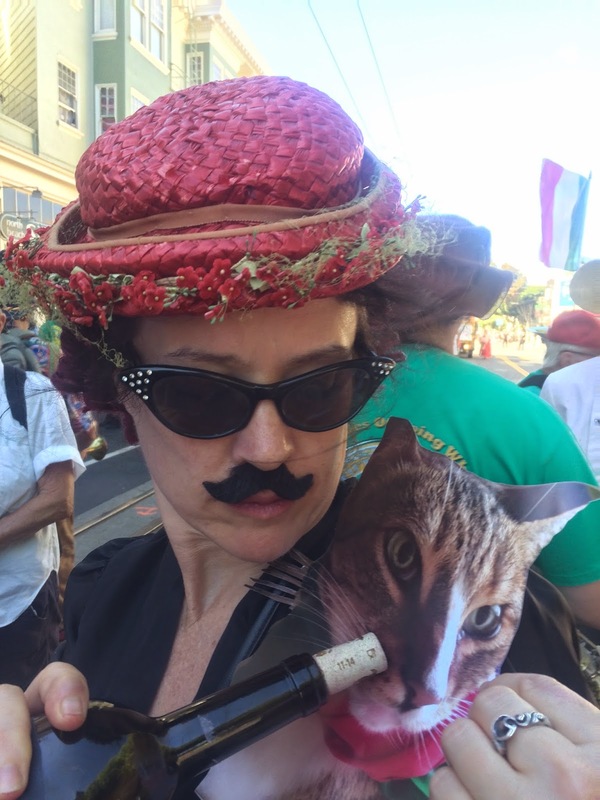 Itza fine feline day when some savvy mustached Signorina suggests Me & Myself share a primo vino with her but hey, I gotta get her to my Man Cat Barber Shop tomorrow - yep uh huh! Va Va Va Voooooomzaloni - itza no baloney so pass me an organicat niptini cuz being a celebricat at the Cristoforo Columbus Day Purrrade can be exhausticatting! Viva EyeTailYah I tells ya. 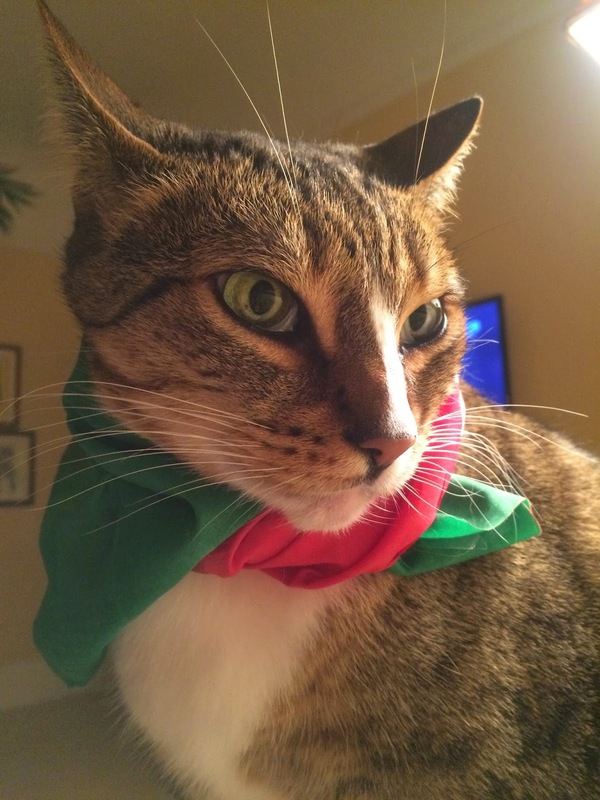 Catzowey .. Itza the mostest meowvalous time of the year and Cwismus not even here! It's the baseball playoffs and I'ma off playing with my baseball. Yep uh huh. 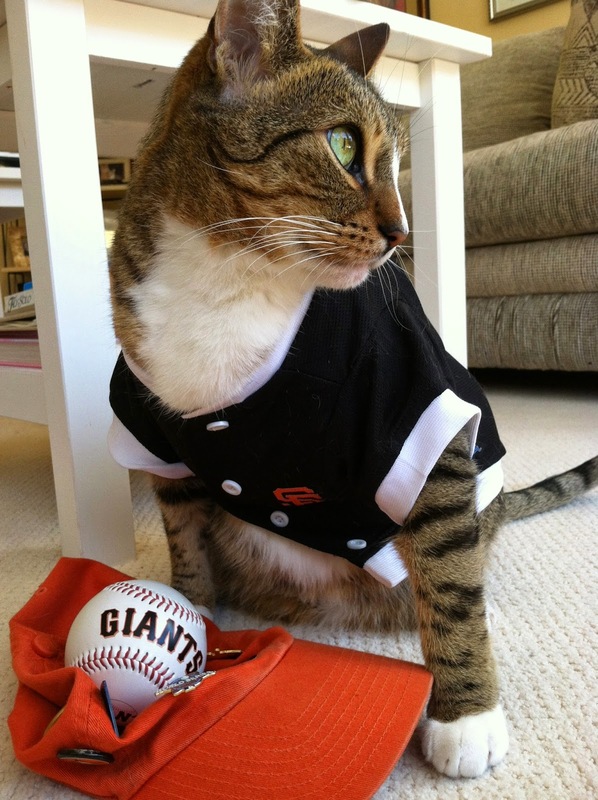 Dontcha know, it's for sure that wearing my lucky baseball shirt (and tucking my Man Cat sized EyeTailYun tummy in) creates San Franfuncisco GIANTS sized winning kitty karma. Sometimes the famoso baseball players look the other direction so the TeeVee cameras don't see dem posing .. yep uh huh, It's what the famoso guys do on dat field of dreams. 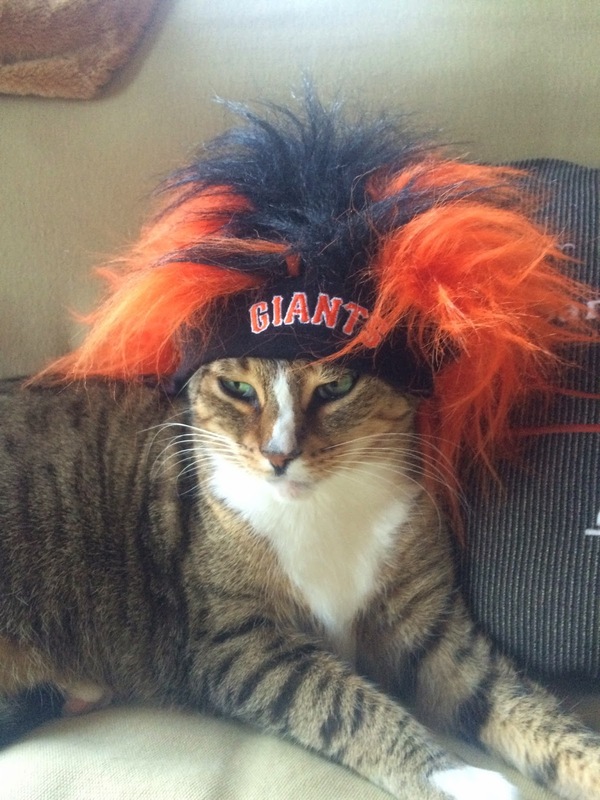 Psst ... dontcha kid yurself, theyza really purrrpondering the next good GIANTS sized play too, while looking cool. Wishing you a nonCATastrophic week in a GIANTS kind of way ... Hooray!